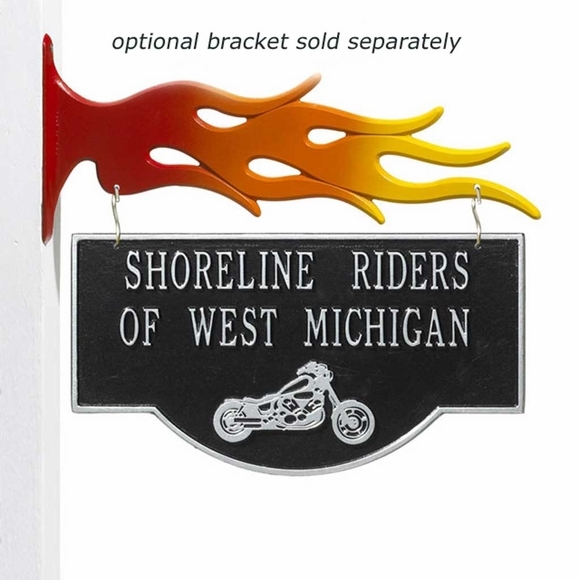 Personalized Hanging Motorcycle Plaque - - 2 sided custom sign for all motorcycle owners and enthusiasts. The same personalized text appears on both sides of the sign above a gleaming motorcycle. Personalize with your own address, garage name, your riding group name, etc. The lettering and graphic is just what we expected, excellent.